Latest mod: remap the ECU with a ProTune from Fabspeed using my COBB AccessPort. No photo necessary… Haven’t had a chance to really test the new tune out, due to pre-spring weather conditions. So far it just feels smoother, with a sense of never ending pull from 3000rpm. Some new “practical bling” in the form of MRG titanium stud kit. Beautiful craftsmanship. Porsche Motorsport makes a great car even better, by adding a bigger engine, bigger brakes, bigger tires, and a bigger wing! New wheels (BBS FI-R forged in OEM size) and Bridgestone RE71R tires. Raceseng shifter knob. This thing weighs a LOT and feels great. A little shorter than the stock plastic Porsche shifter. 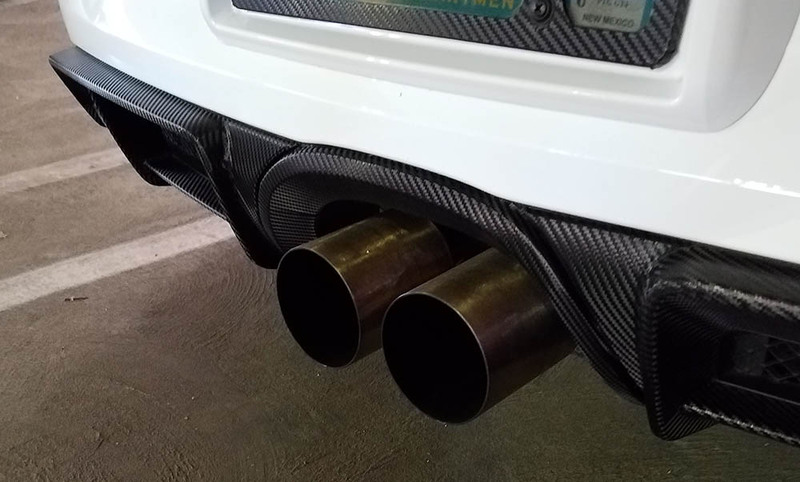 Wrapped the rear diffuser and exhaust surround to match the front splitter and the wing. A little PORSCHE visor to keep the sun out of my eyes! Visor with lettering, selected elements wrapped in CF vinyl. A trip to Circuit of the Americas in Austin, TX pushed the car over 12,000 miles, and time for another oil change and all filters, including the air intake filters. What a sublime car! It eats highways and long flat country roads up, while waiting for the more technical and demanding lanes like those in the Texas Hill Country west of Fredricksberg. 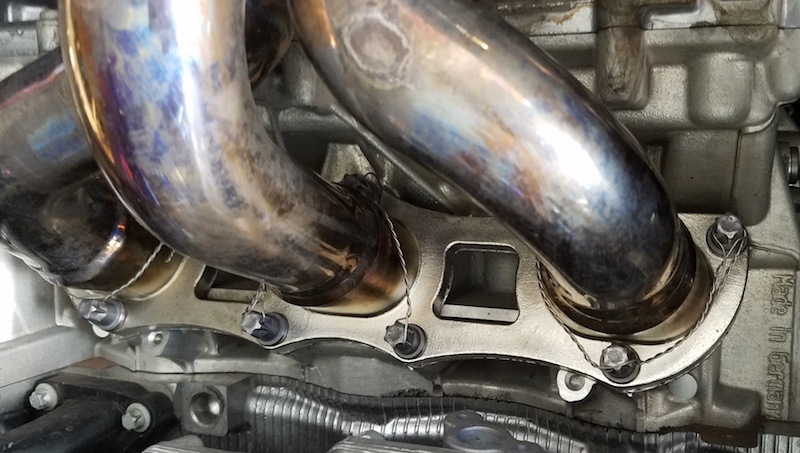 A problem related to the headers, beginning with loose headers bolts raised its head and caused a series of check-engine lights that ultimately culminated in reinstalling the stock headers and a trip to the dealership. No solution from the dealer, but after 1600 miles with the OEM exhaust (god, how I hate the lack of noise…) still no CEL. I will put the Fabspeed headers back on in spring and see what happens, again. Boy, I’m putting miles on the GT4 faster than I’m putting on weight! Did a big drive out to Durango in late June and mid-July sees another 1000 miles for a Taos Tour that I organized. The car is fantastic to drive, even in some pretty bad weather up near Silverton, CO. It’s so balanced, powerful, and interactive. And it sounds great! I am sure I will have over 12000 miles on it in the first year of ownership, a record for me. Spring is really here, and summer is just around the next bend. The first PCA driveout of the year to Safford AZ was a blast over the first weekend in May. 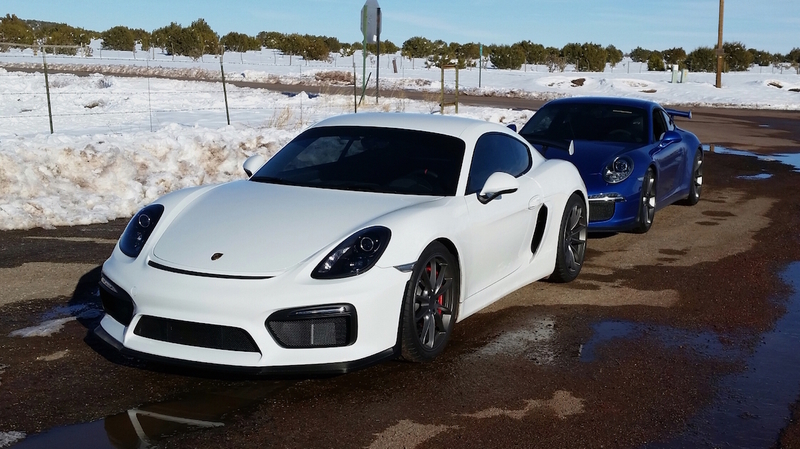 More highway 191 goodness on Sunday, but some beautiful mountain roads in southern NM from Hillsboro to Silver City on Saturday got everyone in good spirits. 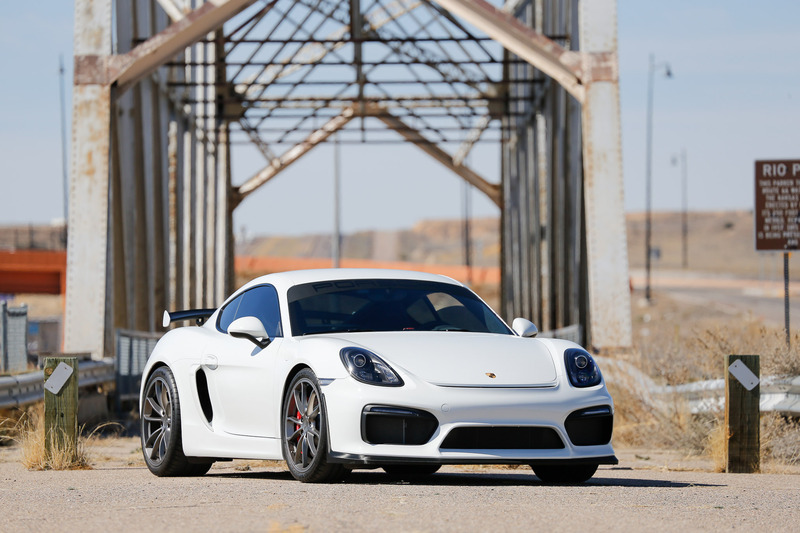 The GT4 is proving to be all that the reviewers, in both the press and on the internet, have raved about. I did get a chance to drive a 991 GT3 back to back with the GT4, and the write up is here. The GT3 remains the greatest of Porsche’s drivers cars in my opinion, but the GT4 is a very capable car and a real blast to drive, both slow and fast. The official break-in period is over! 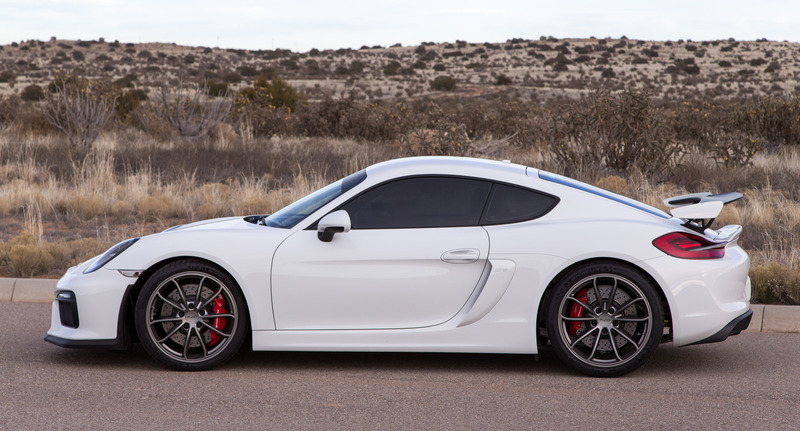 I followed the procedure advocated by Andreas Preunigner, Porsche’s GT division guru. He recommends starting off below 4000rpm and progressively increasing the rev range over time as miles build up: about 500rpm each 250 miles or so. It gets you to redline just at 2000 miles. I never rev the car hard until the oil temperature is above 180F, since that is just car abuse. As the cold winter weather has settled in, it’s been frustrating to put those break in miles on the car. I tried to start it a few days ago and the battery was flat! After two weeks it had faded enough that the car decided there wasn’t enough juice to kick the motor over. A day on the charger, and fortunately the next afternoon was in the 50s, so I took it for a spin. Boy I missed driving it, for sure! Since the weather has been a little more “GT4-friendly” I’ve driven twice in the last ten days. It’s great to get out in this awesome car. The Fabspeed headers are amazing! The sound is incredible, but better with the PSE engaged. And the power delivery (I’m on the Preuninger plan–building up to the magic 2000 mile line progressively) is more impressive each time I raise the revs…just a little each time. The photo above was taken on a drive New Year’s Eve on an impromptu drive with my friend Jim in his Sapphire Blue Metallic GT3. Where we parked here for this photo were the worst road conditions of the whole drive. + The steering is sublime. I’ve driven many GT3s, including the latest 991, and the GT4 clearly has the GT3 rack. It feels a little different of course, because of the car dynamics, but it’s direct, with tremendous feedback. Light but solid. For me one of the greatest things about driving a Porsche has always been the steering. Across all models and generations, the Porsche steering feel has been extremely constant. I felt the GTS steering to be a little heavy and disconnected compared to the earlier 987, and the GT4 steering is a class above all these. + The suspension is amazing. I had X73 on the GTS, and let’s be honest, it has high NVH (noise, vibration, harshness) values. The GT4 suspension is s variant of the PASM from the GT3, and feels very similar (again except for the vehicle dynamics due to engine location.) It’s pretty stiff and unforgiving in Sport mode, but in regular mode it’s supple but firm. Compared to X73 it transmits less road roughness, but it still responds to road conditions and the movement of the car like a sports suspension. It’s hard to describe, that’s just it. + The Cup 2 tires are grippy. Expensive, wide, and grippy. Nothing more to say. + The shifter is the best shifter I’ve driven in a modern (977 and later) Porsche. Beats GT3, GT2, RS, 997, 987, 991, 981. It’s short, direct, smooth, fast. And it sits closer to the wheel than any previous generation shifter, which is nice. The auto-blip in Sport mode is cool, and makes grown men swoon, so why not? 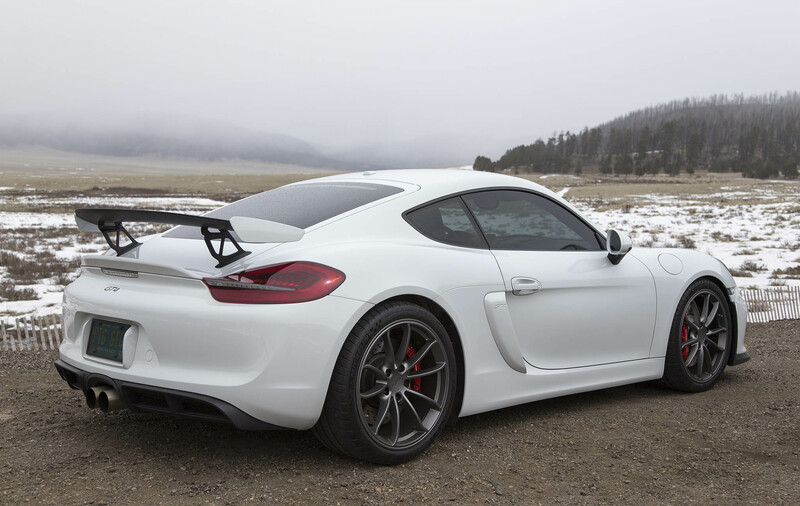 Check out this video of the Cayman GT4 when it was released in March 2015. 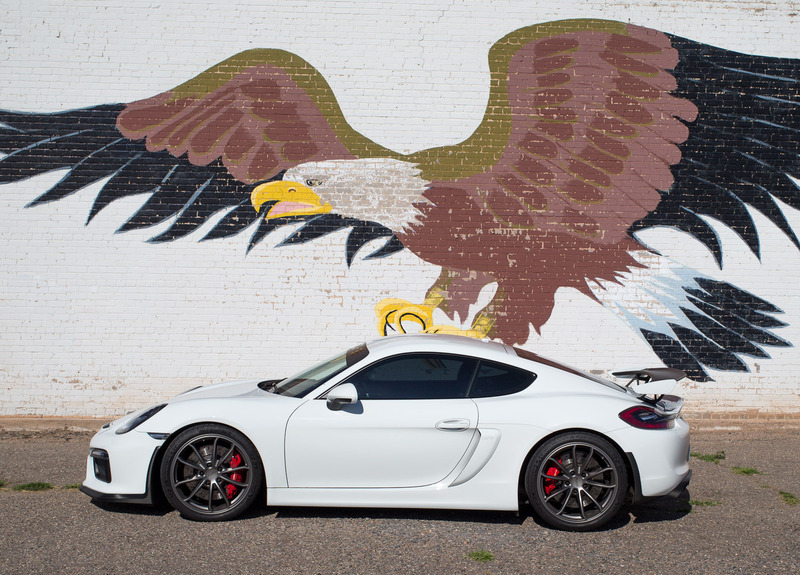 Sort of like a GT3 with the engine in the middle… Video here.